Nexstar Deals For Tribune Stations, To Be Largest Local TV Firm In U.S. 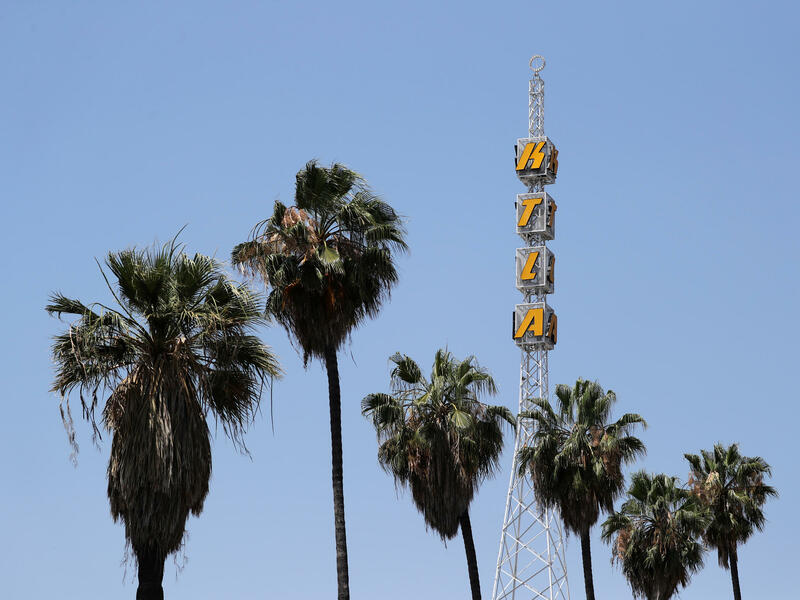 The tower of KTLA is seen in Los Angeles. It's one of 42 TV stations owned by Tribune Media around the U.S. The Nexstar Media Group, the patient collector of clusters of smaller local TV stations around the country, made a splashy acquisition Monday with a $4.1 billion cash deal for the Tribune Media Co. Including the assumption of Tribune Media's debt, the deal is valued at $6.4 billion. The deal would give Nexstar stations in eight of the nation's 10 largest markets, including New York, Los Angeles and Chicago. And it would make the Irving, Texas-based Nexstar the company that owns or controls more U.S. local televisions stations than any other. Earlier, the FCC's Trump-appointed chairman, Ajit Pai, had eased restrictions on the ability of companies to acquire more stations in the same market and in ways that seemed to directly benefit Sinclair. The company has offered President Trump overwhelmingly sympathetic commentary, and even its news coverage of Trump had been cited by critics. Meanwhile, Democratic lawmakers had raised questions about Pai's interactions with Sinclair officials and lobbyists as well as White House officials about the deal. An investigation by the FCC's inspector general's office released last week, however, found no unethical actions by Pai in failing to disclose interactions over the proposed Sinclair-Tribune Media deal.